Join Ed Romaine's Fight to STOP Governor Andrew Cuomo from stealing $1.8 million in promised State revenue sharing. The Governor plans to decimate the current Town Budget, which will result in vital town services being cut for Brookhaven residents. Brookhaven and Long Island taxpayers already contribute so much more to the State government through income and sales taxes than we receive back! Using Long Island as a piggy-bank must end! Sign the petition BELOW TO STOP CUOMO! 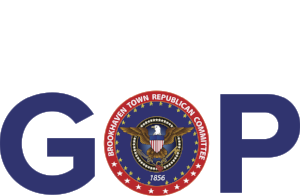 JoIn Ed Romaine and the Brookhaven Town Elected Officials and say STOP to Governor Cuomo. We don’t want him using Brookhaven taxpayers as his personal ATM to fund his pet political projects! Paid for by the Brookhaven Town Republican Committee. Not Authorized By Any Candidate Or Candidate's Committee.